Today is a rather eventful day in the tech world. Both Nokia and Apple have major events, with some pretty anticipated announcements expected. 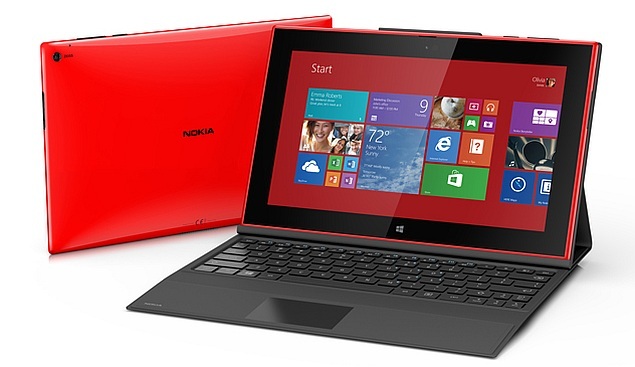 Beginning and ending earlier, Nokia World 2013 was known to be the debut stage of the oft leaked Nokia Lumia 1520 and Nokia Lumia 2520, but there were a lot of surprises as well. The event was literally chock full of announcements and releases, and will definitely please any Windows Phone user. In fact, there’s a good chance that a lot of people who were skeptical about the platform will make the switch! 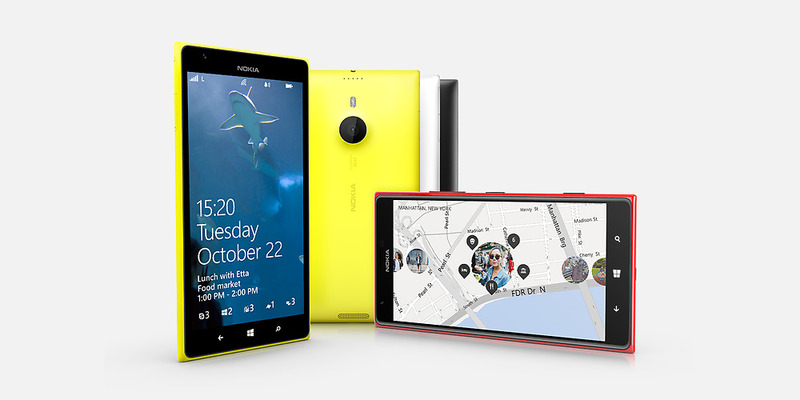 Here’s a round up of everything that happened during the Nokia World 2013 event! For the first time, Nokia has included a MicroSD slot for expandable storage on a flagship device, which is undoubtedly one of the most sought after features. The speedy new SoC should silence naysayers who quoted specs, and the PureView camera, although not of the Lumia 1020 caliber, can certainly beat out most smartphones on the market. Plus, there’s Qi Wireless Charging support and a huge battery. What’s not to like? It weighs 209 gm, and is 8.6 mm thick. 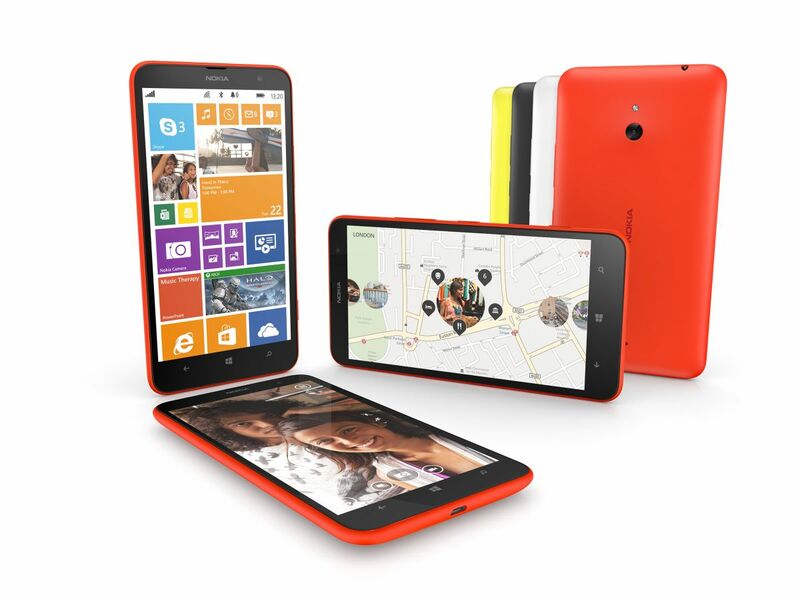 The Lumia 1320 is clearly a budget device and although it has the same screen size as its big brother, the Lumia 1520, it’s only 720P HD resolution. The 5 MP camera and 8 GB internal storage might not impress many, but the huge screen, battery and expandable storage definitely makes up for it. Then again, for $339, there’s not many other phones which can boast of the number of software features Nokia has packed in. Nokia’s first attempt at a Windows RT tablet isn’t shabby at all, and has the specs to go toe to toe with pretty much all its competitors. There’s also a power keyboard accessory that extends battery life, adds a complete keyboard with stand and full sized USB 2.0 ports to boot. Nokia’s budget phone range straddles the boundary between featurephone and smartphone so it can’t really be classifies as either, but it definitely can be classified as pocket friendly. The small and colorful 500 series of phones gets a refresh this year, and the 3 new devices are quite similar to each other, save for a few extra features and capabilities. 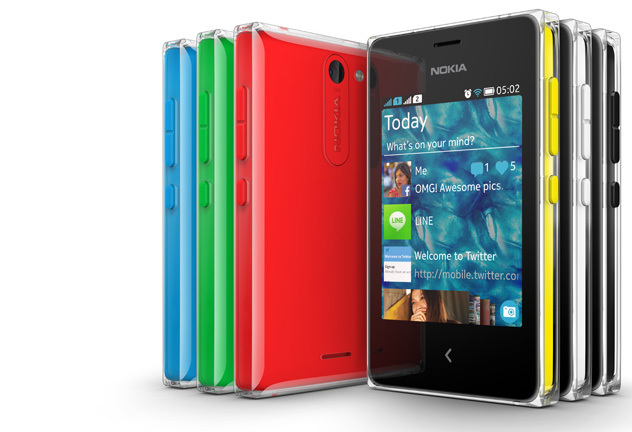 Cheapest is the Nokia Asha 500, starting at $69 and coming with EDGE support, a 2.8 inch touchscreen and a 2 MP camera. Then there’s the Nokia Asha 502, which is a step up at $89, but still only supports EDGE networks. Changes include a 3 inch capacitive touchscreen and 5 MP camera with LED flash. Finally, there’s the Nokia Asha 502, a 3G capable phone coming at $99, with pretty much the same specs as the Asha 502 plus a Gorilla Glass covered screen. Considering that the older Asha 501 provided only EDGE connectivity for the same $99 price, it’s a pretty good deal. Design wise, all three devices are quite similar to the Asha 501, except that they now have a unique transparent polycarbonate layer over the body to prevent damage and discoloration to the inner body. Since these phones are aimed at the budget market, the extra bit of protection is a nice touch. All 3 phones are as colorful and nice to use as the Asha 501, so Nokia has stuck to the principle of “if it ain’t broke, don’t fix it”. Originally called Bittersweet Shimmer, the upcoming firmware update from Nokia will ship officially with the Windows Phone 8 GDR3 update, and will add new features of its own. New apps like Nokia Camera, Nokia Storyteller, updated Glance screen and more features are said to come with it. The successor to the Lumia Amber update will also add Glance backgrounds and the quirky new ability to measure your steps and display them on the screen. Expect it to be available sometime by the end of 2013, coupled with the long awaited Windows Phone 8 GDR3 update (which you can get right now, by the way). One of the best things about Nokia is their continued support for released devices. Pretty much every new app and feature is also brought to older devices if they’re capable, and new apps are guaranteed almost every event. This time it’s no different, with Nokia announcing Nokia Camera, Nokia Refocus, Nokia Storyteller and Nokia Beamer, 4 innovative new apps that keep even older devices fresh. Nokia Camera is a new app that combines functions of the Nokia Pro Camera and Nokia Smart Cam and integrates the photography experience for all PureView devices. Designed to take advantage of the powerful snappers on the Lumia 1520, 1020, 925, 928 and 920, Nokia Camera is available now for PureView devices and will be available for all other devices after the Lumia Black update. Remember Nokia’s support of plenoptic lenses? It’s finally bearing some fruit. Nokia’s amazing new Refocus Lens Camera app will bring the almost Lytro camera-like ability to PureView devices of depth of field control, after taking the picture. 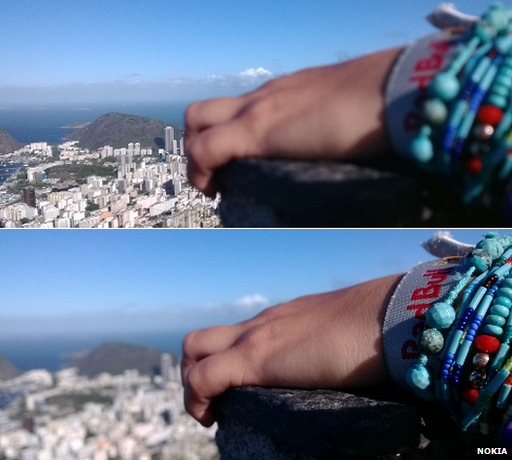 That means you can choose where you want to focus, after the photo has been taken! Nokia’s all about photography, so it’s no surprise that it has announced something like Storyteller, an app that arranged and tags your photos based on locations, times and people in it. The app will also arrange your photos in an attractive order and highlight the best photos, and not the blurry ones. In tandem with HERE Maps, it will also save where it has been taken on a map. Finally, there’s Nokia Beamer, a surprising new app that lets you share your Lumia’s screen with another user, just by connecting via a QR code. You can literally have your phone’s screen mirrored on any other HTML5 enabled screen. It can be shared via social networks or email too! Pretty much all the big apps are now on Windows Phone, and anything else remaining is sure to make the jump as well soon. Good days are ahead! So that was our Nokia World 2013 Round Up, with all the details about everything that happened at the event that was nothing short of a whirlwind of announcements. Windows Phone indeed seems to be gaining traction and Nokia is at the forefront of this push. What did you think of the event and our feature? Do drop us a line and let us know! Thanks to Share.. this Complete guide. and All points are cleraly written here, i’m glad to Visit this Awesome Blog..